Use Google Maps to see the surrounding area. 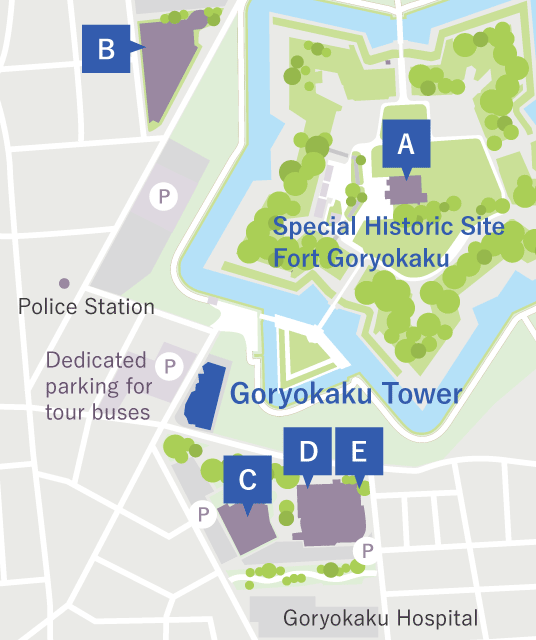 Situated in the center of the Special Historic Site Goryokaku is the Hakodate Magistrate's Office established by the Tokugawa Shogunate to rule the open port of Hakodate and Ezochi (present Hokkaido), which was restored after nearly 140 years. The restoration work done by Hakodate City and the Agency for Cultural Affairs was completed after four years from 2006 to 2010. 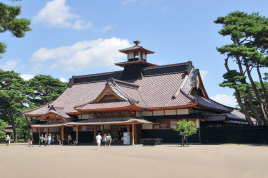 About 16-meter tall palace-style magistrate building adorned with tiled roofs and taiko yagura (drum towers) came back into existence in the similitude of the building completed in 1866. In 1926, the city decided to build a city library in Hakodate. The two-story reinforced concrete main library building was completed with money donated by Koichiro Oguma. On that occasion, nearly 30,000 books housed in the Hakodate Library and the library building were carried over to the new library to complete the Hakodate City Library on July 16, 1928. After that, to respond to an increase in users with the expansion of the city area, the city opened libraries and book distribution centers around the city. 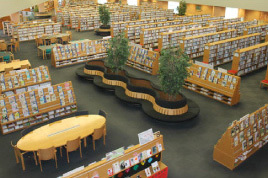 On November 27, 2005, the Hakodate City Central Library opened in Goryokaku-cho. The library is also known for the collections of materials related to the north, poems of Takuboku Ishikawa, and other unique materials. Since its opening, the library has collected more than 1,600 art pieces so far. It houses a collection of oriental artworks from representative artists deeply linked to the southern part of Hokkaido and distinctive contemporary artworks related to letters and symbols. 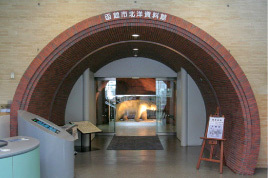 The museum hosts a special exhibition of artists associated with the southern part of Hokkaido every year. During the special exhibition, lectures and seminars are also held. 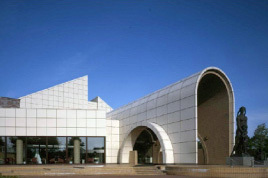 In addition, the museum mounts regular exhibitions, traveling exhibitions, and permanent exhibitions for a broad range of domestic and international audiences. While this facility is a full-fledged music hall, it is also a multipurpose hall by replacing the stage. There are also an art gallery, rehearsal room, and practice room to serve as a place for showcasing art and cultural activities for the citizens. It is also broadly utilized as a venue for various events. This museum exhibits several materials related to the North Sea fisheries, which was a key industry of Hakodate. It also has a section where visitors can experience navigating a fishing boat, so that they can learn specifically about the achievements of our predecessors who established the ocean industry while fighting against the harsh natural environment of the North Sea. 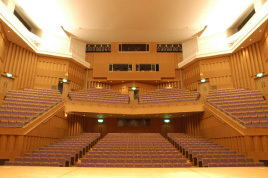 The entrance is located next to the entrance to the Hakodate Performing Arts Center Harmony Goryokaku.